SIMI VALLEY, California (AP) — U.S. Defense Secretary Ash Carter on Saturday accused Russia of endangering world order, citing its incursions in Ukraine and loose talk about nuclear weapons, and said the U.S. defense establishment is searching for creative ways to deter Russian aggression and protect U.S. allies. In remarks at the Ronald Reagan Presidential Library after eight days of travel in Asia, Carter also expressed concern about China’s expanding influence and growing military might. But he reserved his stronger words for Russia. 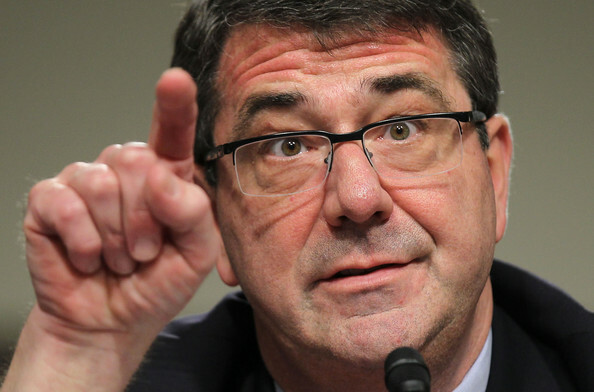 Carter said Russia is undertaking “challenging activities” at sea, in the air, in space and in cyberspace. “Most disturbing, Moscow’s nuclear saber-rattling raises questions about Russian leaders’ commitment to strategic stability, their respect for norms against the use of nuclear weapons, and whether they respect the profound caution nuclear-age leaders showed with regard to the brandishing of nuclear weapons,” he said. His remarks were perhaps the strongest he has expressed about America’s former Cold War foe. The backdrop to Carter’s remarks is the reality that after more than two decades of dominating great-power relations, the United States is seeing Russia reassert itself and China expand its military influence beyond its own shores. Carter cited several pillars of the international order that he argued should be defended and strengthened: peaceful resolution of disputes, freedom from coercion, respect for state sovereignty and freedom of navigation. Russia under President Vladimir Putin is challenging the U.S. in many arenas, including the Arctic, where last year Moscow said it was reopening 10 former Soviet-era military bases along the Arctic seaboard that were closed after the Cold War ended in 1991. Russia also is flying more long-range air patrols off U.S. shores. Carter left open the possibility that Russia’s role in Syria could evolve into one the U.S. can embrace. “It is possible – we’ll see – Russia may play a constructive role in resolving the civil war,” he said. As Russia makes what Carter characterized as threatening statements about its potential use of nuclear weapons, the U.S. is modernizing its entire nuclear arsenal — not only the submarines, bomber aircraft and land-based missiles that are armed with long-range nuclear weapons, but also the weapons themselves. “We’re investing in the technologies that are most relevant to Russia’s provocations, such as new unmanned systems, a new long-range bomber, and innovation in technologies like the electromagnetic railgun, lasers and new systems for electronic warfare, space and cyberspace, including a few surprising ones I really can’t describe here,” he said. Carter said China is the single most influential player in Asia’s future, and he noted that earlier this week he went aboard an American aircraft carrier in the South China Sea to demonstrate U.S. commitment to freedom of navigation. The U.S. objects to China’s claims of territorial limits around disputed artificial islands there.